"We're constantly strengthening the security protections in every Apple product to help customers defend against hackers, identity thieves and intrusions into their personal data," Apple said in a statement Wednesday. "We have the greatest respect for law enforcement, and we don't design our security improvements to frustrate their efforts to do their jobs." Reuters and The New York Times first reported that Apple (AAPL) had confirmed the new feature. Vice's Motherboard previously reported that Apple was testing the change. If a law enforcement agency wants to gain access to an iPhone, its options are limited, even with a warrant. The data on the device is encrypted and cannot be pulled off without cooperation from Apple or the phone's owner -- or possibly by using a corpse's fingerprint. Apple didn't end up building that software. Instead, the FBI purchased a tool from a third-party that let it hack into the device. "There are over 700 million iPhones in the hands of consumers. Patching any and all vulnerabilities as quickly as possible is ... the only responsible path to protect the public," said Alex Rice, co-founder of HackerOne, a firm that helps large companies detect security flaws. 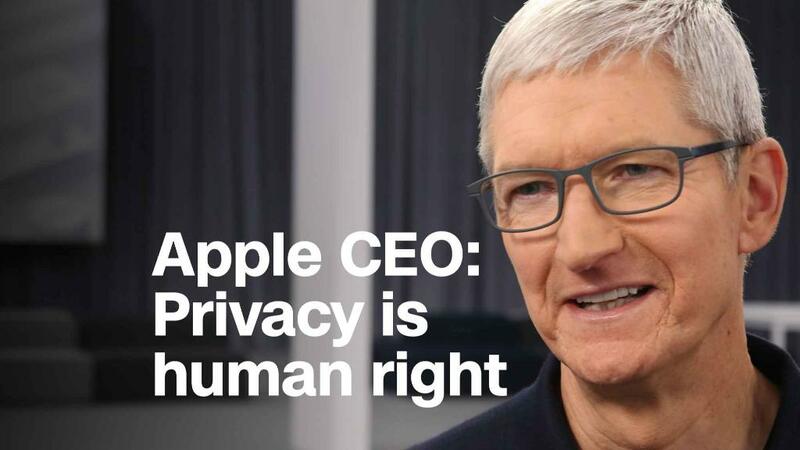 An internet privacy advocate said Apple's move was a win for the security of all iPhone users. "Law enforcement is in the golden age of surveillance, with an unprecedented ability to look into every aspect of our lives, and more data available than ever before," said Kurt Opsahl, deputy executive director at the Electronic Frontier Foundation. "We should not weaken security for millions of innocent users just to keep one exploit working longer." The FBI and the Department of Justice declined to comment. The update will be available in iOS 12, the company's latest mobile operating system, when it comes out later this year. iOS 12 works on the iPhone 5S and later models. But Jay Kaplan of cybersecurity firm Synack doesn't think it will be long before other techniques for getting into iPhones become available. Companies like Cellebrite that have based their business on it are likely to already have other tools stockpiled, he said. Cellebrite didn't immediately respond to a request for comment.